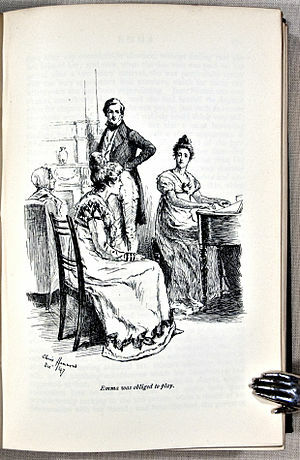 Emma was written 1814 and 1815 and published 1815. 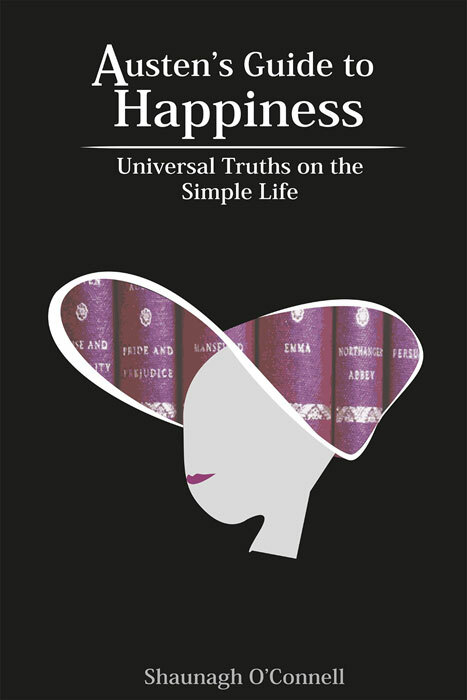 Unlike Nauseatingly Nice Fanny, Emma Woodhouse in Jane Austen’s next novel is quite flawed. She is self important and indulged; a princess to be exact. There are a few princesses sprinkled around the Austen world but none so endearing as Egotistical-Emma. Egotistical-Emma believes herself to have made a match for her governess and buoyed with her own self importance and success as a matchmaker she sets about playing God in the little village of Highbury. She takes a young beautiful girl, Malleable-Harriet with suspicious parentage and tries to set up an advantageous match with the local aspirational curate. Alas, Aspirational Mr Elton wants more than just a pretty face. (In the film Emma starring Gweneth Paltrow, it is odd that Toni Collette’s Harriet is made to look so ugly as Jane Austen clearly states, “She was a very pretty girl”. The point was that Mr Elton was after money and position first.) To all the participants’ embarrassment, Mr Elton sets his target on the superior fortune of Egotistical-Emma. Emma naturally rejects him, he escapes to Bath and finds a suitable wife of equal aspirational bent, Aspirational Mrs Elton. Again, there are dead-ends and another Prince Charming like rescue. But the man keen to rescue the damsel in distress is never the perfect match in the Austen world. And the man who might be overlooked as a family friend, who actually tells Emma a few home-truths, finally wins her heart as she grapples with her faults and realises that an egotistical princess needs a straight talking decent man to make her happy. Straight-Talking-Mr Knightly is no Romeo. And at times his lectures are a little off putting for a modern audience. But his thoughtfulness towards the less affluent in the town of Highbury mark him as a wilderness or social justice warrior in today’s world. As is often the case in the Austen world, self knowledge and integrity is much more important than the ability to rescue. Another Prince Charming character is found in Emma when we meet Seemingly-Suitable-Frank Churchill, who although doesn’t turn out to be the villain, isn’t a hero either. Closer to hero status is Independent-Jane Fairfax, independent in an unfair world, she has fallen for the Prince Charming and it is obvious that it is she that will do the rescuing not he. Not because she is rich, but because she has integrity, something that can at times be in short supply in a society where superficial values reign. One of the most enduring relationships in the Austen world, and in Emma, is friendship rather than romantic love. But naturally in the Austen world, it is not without its pitfalls. In Emma, we see the effects when one dominant character influences another. Egotistical-Emma manipulates Harriet, socially and intellectually her inferior. Malleable-Harriet is so easily influenced that with the help of her friend she falls in love with four different men in the space of a year. Luckily she does not lose her first love, Idyllic-Farmer-Robert Martin, and all ends well both in the romantic love stakes as well as the friendship stakes. In the minor characters we find a little gem, Poor-but-Popular-Miss Bates. Miss Bates is surprisingly popular for one with so few advantages. Miss Bates is at times quite a comic character but she is truly content. And Hypochondriac-Mr Woodhouse is also another delight. His concern for his own health and for that of his neighbours makes him another comic but endearing character. Hypochondriac-Mr Woodhouse wants all to stay the same and for no change to shatter his perfect little world of Highbury. The care that Emma takes of him shows us that despite being a princess, she is at least a caring girl. No wonder Mr Knightly has, unbeknownst to him, been in love with her. emma isn’t the only unpleasant character in highbury. everyone, except mr and mrs weston and mrs. bates is a jerk of some kind. knightly is cold and often rude. his brother is kind of douchy. isabelle is an empty-headed suburban housewife. harriet is just waiting to become one. frank is smug and heartless. jane is aloof and nearly anti-social (thanks to frank). mr woodhouse has carved out his own private niche on the arsburger spectrum where he makes an art form of self centeredness. although highbury is just 16 miles from london, its so provincial and insular it might as well be on orkney. handsome, rich and clever as emma may be, i wouldn’t trade my daily struggle for her gilded cage. social rules allow her to mix with just 3 families. there are 2 she can accept invitations from. harriet can’t call her emma. contemplating her superiority gives her some comfort, otherwise her life is pretty bleek, and she knows it. have you noticed that the westons are in the same boat as the coles: fresh-minted gentlemen recently retired from trade–i.e. parvenus. but mr weston is acceptable to emma while the coles are not (except for one luxe evening when emma’s boredom o’er leaps her pride). True. Emma is not without her faults and neither are many of the other characters, yet like most of us they can be endearing at times. Remember that lovely quote, ..”.faultless in spite of all her faults”. I like to think that Emma has learned what a snob she has been and that if people are kind and good and educated it won’t matter their social standing in the dominant hierarchy she’ll still accept them. After all, at the end of Emma, even Mr Martin is accepted at Hartfield.